Simply the best 377 available on the market. With triple Mercury 300 Verado (currently 360 hours), replace 01/2017 & extended platinum warranty until 2022. 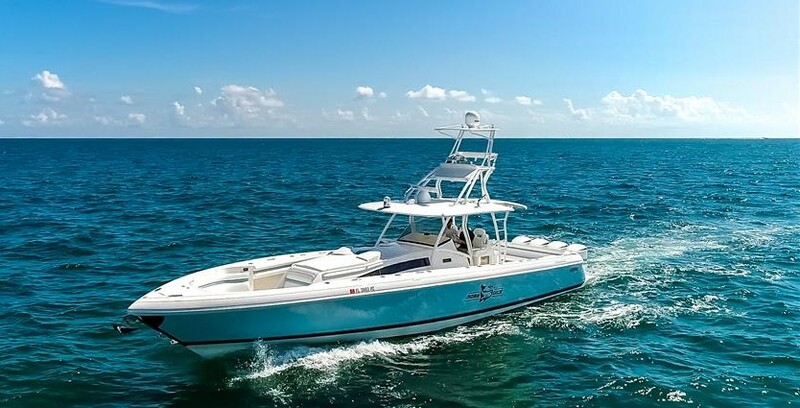 She features new of the following: interior cabinet lamination, interior LED lighting and wiring, interior & exterior upholstery, interior carpeting, matching dual Garmin 7212 displays, Furuno RD30 display, ACR search light, & strata glass. SYS Yacht Sales is pleased to assist you in the purchase of this vessel. This boat is centrally listed by Yachting Experts, Inc.